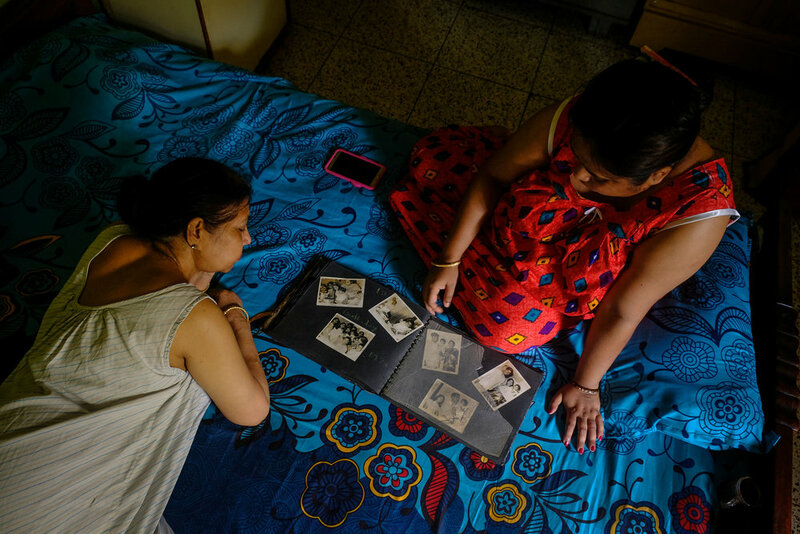 In 2018, the Bob and Diane Fund awarded scholarships to two students attending the Foundry Photojournalism Workshop in Kolkata, India. 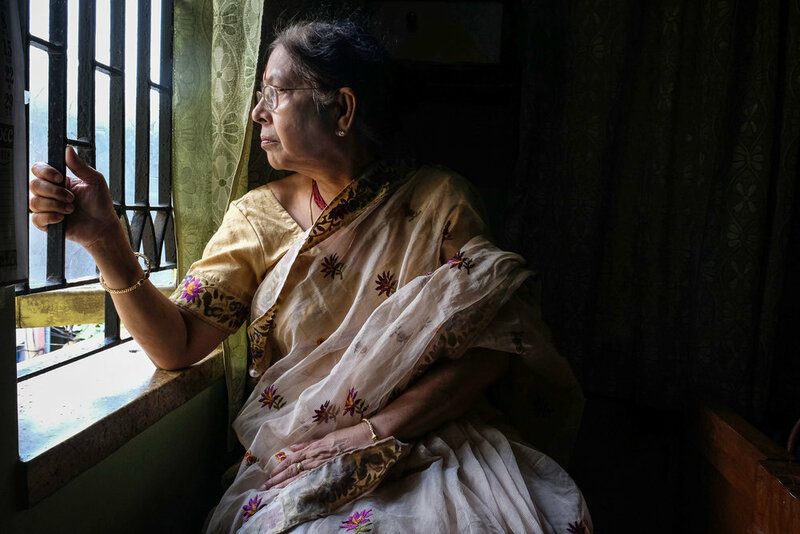 In July 2018, the Bob and Diane Fund awarded two $1000 scholarships for students attending the Foundry Photojournalism Workshop in Kolkata, India. The scholarship was offered to local photographers only. The scholarship was created to offset tuition, travel, or on-the-ground costs students incurred while attending the workshop, and required recipients to pursue a story related to Alzheimer’s or dementia during the workshop week. 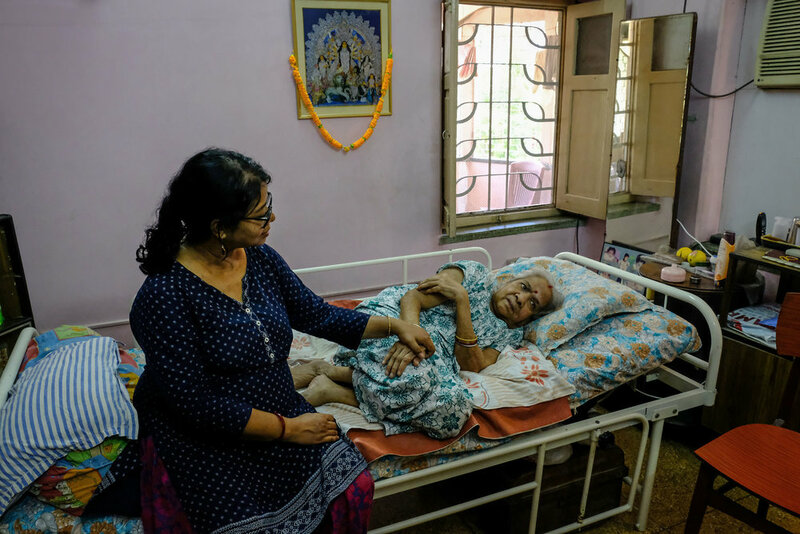 When a person in the family is diagnosed with Alzheimer's or dementia, it is mostly women who are left in charge of the care work. With the argument that women can do better because they are more affectionate or because it is their duty depending on the culture in which they live. This results in women having fewer opportunities to develop in the educational, cultural and work environment. It is very important to make this problem visible and to encourage countries to invest in the care and prevention of people suffering from mental illness. Due to the particularities of this disease, they are degenerative diseases and patients can suffer from them for many years. During this time women should continue with other tasks and responsibilities at home. 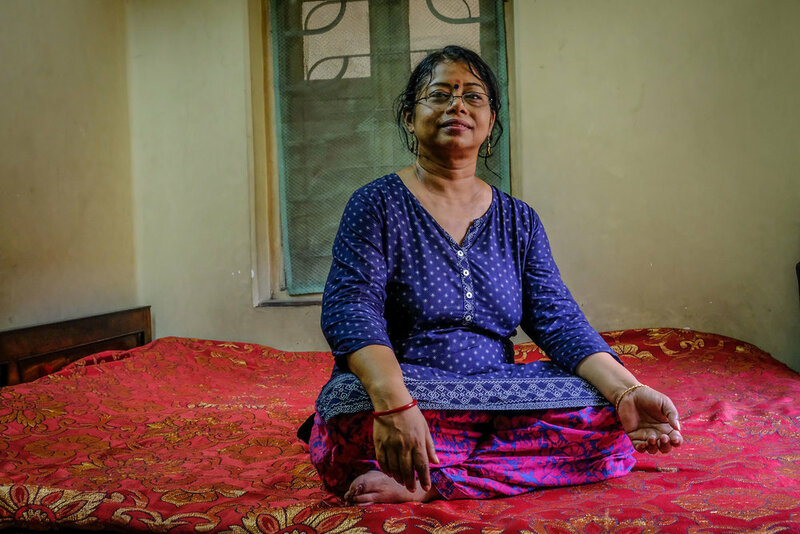 Woman Caregivers is a work in progress started in Calcutta, India, thanks to the Bob and Diane Fund during Foundry Photojournalism Workshop in July 2018. Being chosen for the scholarship was one of the greatest and most satisfying opportunities I have had as a photographer. I feel very privileged to have met these women and to be allowed to tell their stories through my images. I also feel very grateful to Gina Martin for all her support and accompaniment throughout the process. Greta Rico is a Mexican photographer based in Mexico City. Follow her on Instagram @gretarico. I am delighted to be chosen by the Foundation to shed light on issues that are very personal and underreported. 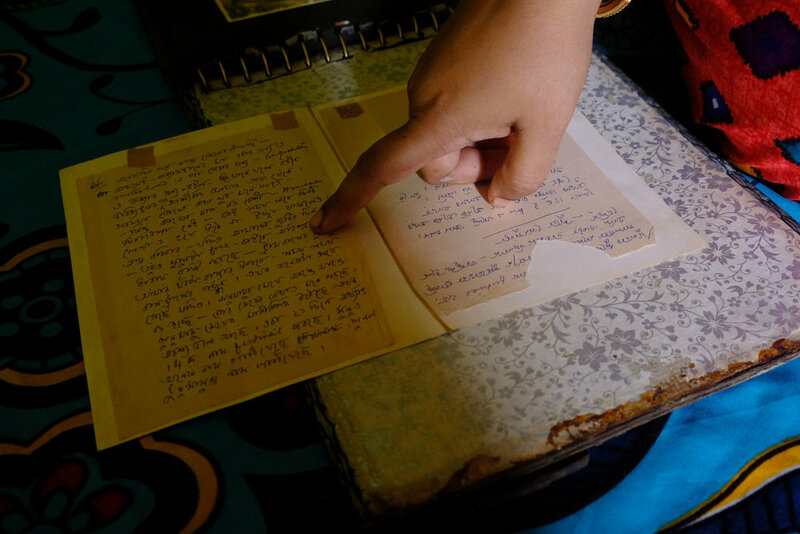 I feel honored to give voice to stories of Alzheimer's in a hope that it can further the conversation about the topic. It was the summer 2009 when my mother was diagnosed with Alzheimer’s. I was working as a teacher then. In retrospect, I remember that she had started showing symptoms from earlier times. Symptoms which we had overlooked. She forgot where she had kept her glasses or the book that she was reading. Perhaps, it started after the death of my father. 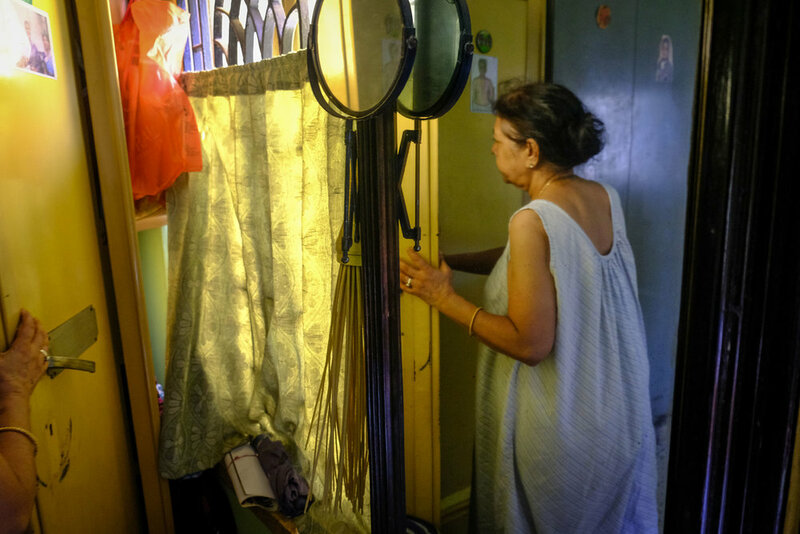 Over the years her conditions deteriorated. It was once when she fell down in her room and broke her arm, that we suspected something was seriously wrong with her. The woman who was once self sufficient and independent showed no resemblance to her previous self. 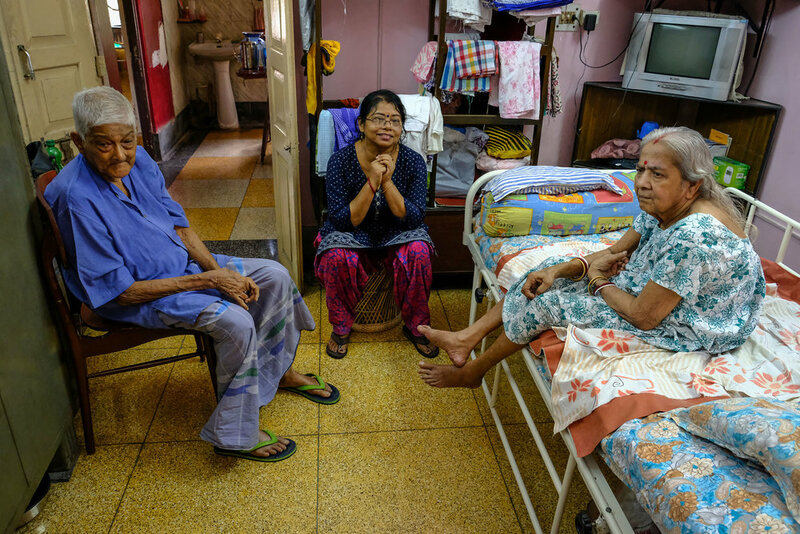 Our doctor had advised us to take her to ARDSI, an organization working with Alzheimer’s patients. With tremendous help from the institution we engaged her in therapy. Therapy which included writing, reading and singing. I had to quit my work and decided to devote my time to her. 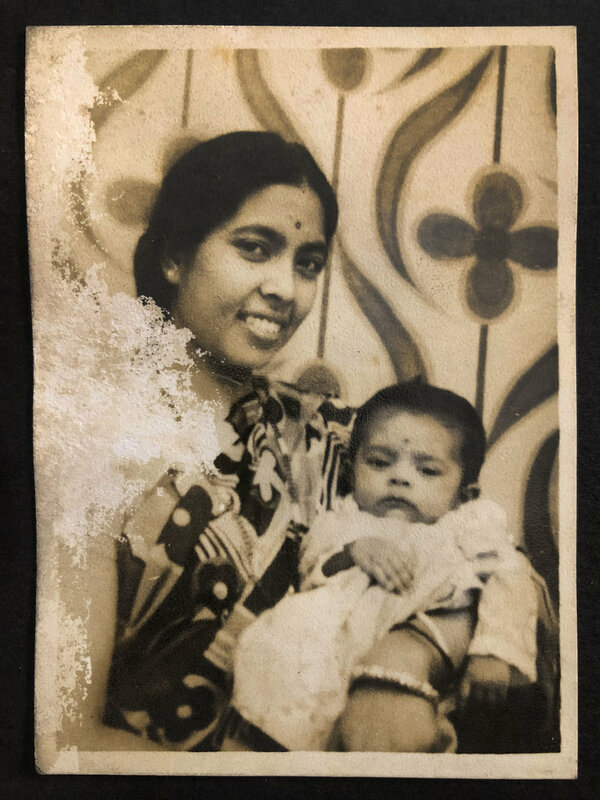 My mother, who had taken the responsibility of raising her children was to be taken care of by us now. It felt like raising the child I never had. It took us a great deal of patience and understanding to enter her world. We often go out on walks and she thoroughly enjoys visiting the same poolside everyday without any recollection of visiting it before. The joy of seeing the pool everyday fills her up, to her it is like a new discovery which she makes everyday of the year. It funny how an old photograph fades over time. 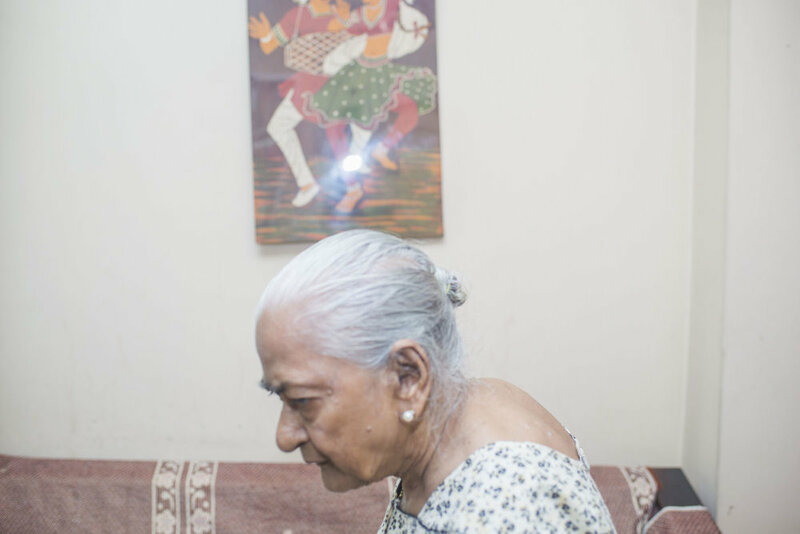 Every time she see’s the portrait of her late husband, hanging in a frame, she can’t recollect the individual. The memory of her earlier life with her husband is fading is her memory. Often she tries talking to the mirror, perhaps in a hope of getting some answers. The past had faded, the memory of the past has also faded but what remains is the grit and resilience of a strong woman in her late 80s. Hadi Uddin is a photographer based in Dhaka, Bangladesh. Follow him on Instagram @HadiUddin.